YPPERLIG Collection / Collaboration with HAY: YPPERLIG - IKEA’s collaboration with Danish company HAY and its two founders Mette and Rolf Hay - is focused on exploring the future Scandinavian design identity and understanding what the true functional and emotional needs are in the modern 21st century home. The collection will launch in October 2017 and includes furniture, lighting, accessories and textile designs, using advanced manufacturing techniques. DELAKTIG Collection / Collaboration with Tom Dixon: The IKEA collaboration with Tom Dixon is not only about exploring the possibility of designing open source hardware, but also exploring materials and challenging traditional ways of production to redefine the concept of comfort. 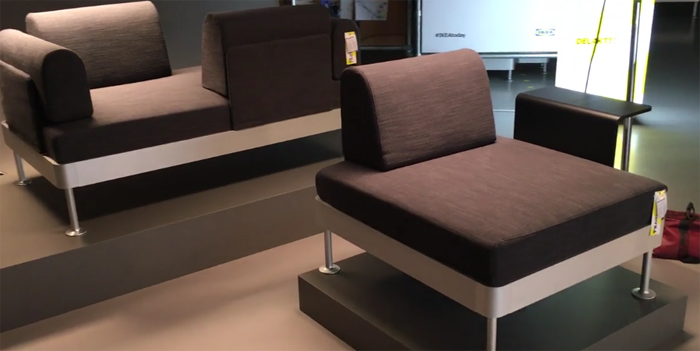 Launching in February 2018, the DELAKTIG open-source platform is a new, versatile seating solution designed to help people cope with all the activity of everyday life. 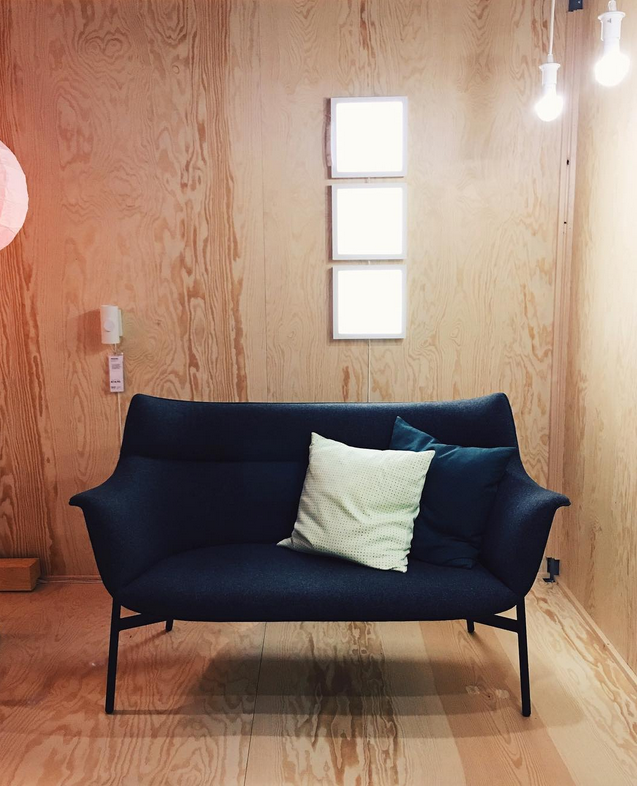 It’s made for your friends and family to relax and socialize, with the possibility to use as a bed and tailor the function to suit your living situation. OMEDELBAR Collection / Collaboration with Bea Åkerlund: IKEA is teaming up with Swedish-born fashion designer and stylist Bea Åkerlund to create a bold, eclectic collection – OMEDELBAR – that will be available starting in March 2018. Influenced by Swedish design and Åkerlund’s experience styling Hollywood icons, such as Madonna, Beyoncé and Lady Gaga, the limited-edition collection is perfect for young fashion lovers and will include statement pieces for your home that can enhance or elevate a look, just like personal accessories. ART EVENT 2018 Collection / Launching in April 2018, IKEA ART EVENT 2018 is a limited-edition collection featuring contemporary glass figurines. Designed by 8 unique, urban artists, the collection invites the playfulness and imagination that we all had as children. The ART EVENT 2018 continues the IKEA mission to make great art accessible for everyone. SPÄNST Collection / Collaboration with Chris Stamp: IKEA is collaborating with avant-garde streetwear designer Chris Stamp to explore ways to integrate street culture and sports at home in a casual and informal way. Launching in May 2018, the limited-edition SPÄNST collection is designed for today’s active, young-minded people and brings crisp freshness and sporty materials to home furnishings. INDUSTRIELL Collection / Collaboration with Piet Hein Eek: Launching in spring 2018, INDUSTRIELL is a result of a collaboration with Dutch designer Piet Hein Eek to explore how to give mass-produced objects individuality while still utilizing an industrial production process. Celebrating uniqueness and intentional imperfections, the collection will consist of sustainable furniture and home furnishing items made with wood, metal, glass, linen, ceramic, and more. INNEHÅLLSRIK Collection: The limited-edition INNEHÅLLSRIK collection is co-created with artisans from the social enterprise Rangsutra and Industree in India, marrying Scandinavian design and traditional Indian handicraft techniques. The IKEA Social Entrepreneur Initiative is a collaboration between IKEA and social entrepreneurs to merge gaps between people and cultures, share ideas and create a better everyday life for more of the many. INNEHÅLLSRIK will be available at select IKEA U.S. stores starting in spring 2018. HJÄRTELIG Collection: One of our favourites, coming in 2018 a new collection called HJÄRTELIG. Love the canopy, divider, and headboard! CURATED BY COLETTE AND DARCEL DISAPPOINTS / If a home had a street style, what would it be? 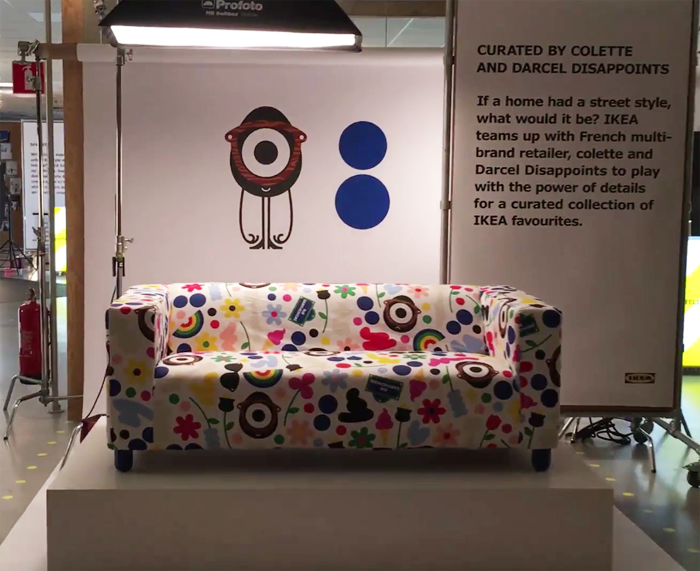 Ikea teams up with French multi-brand retailer, colette and Darcel Disappoints to play with the power of details for a curated collection of IKEA favourites. NASA & Lund University: IKEA is announcing an exciting collaboration with NASA and Ingvar Kamprad Design Center at Lund University to create a curious space collection set to launch in 2019. As NASA and Master’s students at the university work together to explore what is needed for a three-year journey to Mars, IKEA will tap into their learnings and apply these discoveries to products and methods for everyday life at home, here on earth. As part of this project, IKEA will also look into the interior of the habitat that NASA is planning to put on Mars and will contribute to the development of that habitat with experience and knowledge about what makes a home feel like home to people, even if it is on Mars. 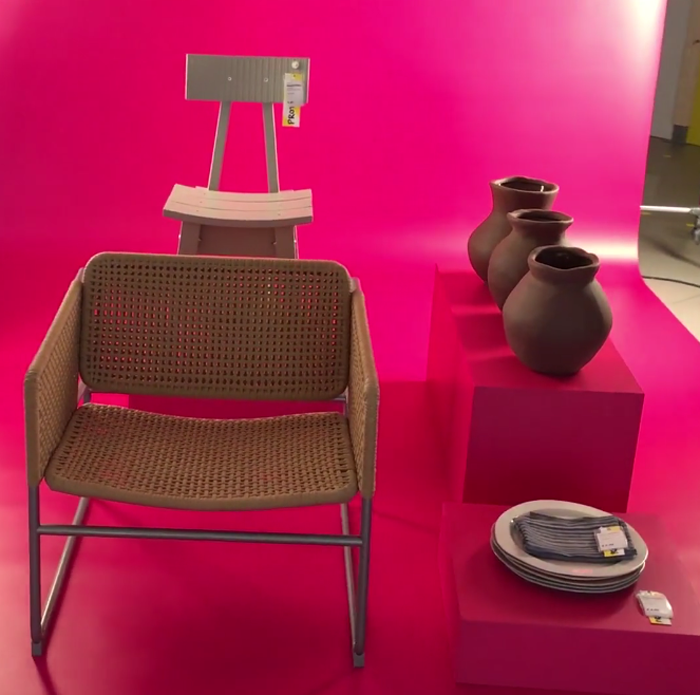 Virgil Abloh: IKEA is partnering with Virgil Abloh, founder of the fashion label Off-White, to explore inspiring design for young people and their “first home,” focusing on making it stylish yet inexpensive. By working together with students, the collection – slated to launch in 2019 – will feature unique, innovative and inspiring furnishings and decorations that will offer a provocative viewpoint on how young people consider design. Byredo: IKEA is collaborating with Ben Gorham, founder of the fragrance company Byredo, on the idea of “invisible design” by adding scents in the home. Understanding that smell is the sense with the most powerful influence on memory, mood and emotion, IKEA is curious to explore the role of scent in the home, the carriers and the products, as well as how people can integrate scents in completely new ways. The collection is planned to launch in 2019. Teenage Engineering: IKEA is partnering with Teenage Engineering, a collective of creatives known for making music and designing electronic instruments, to design a collection that taps into the importance of music in the home. Launching in early 2019, FREKVENS will consist of products needed to host a fun, spontaneous gathering with great music, from a vinyl player to an electronic choir. I love their industrial collection!